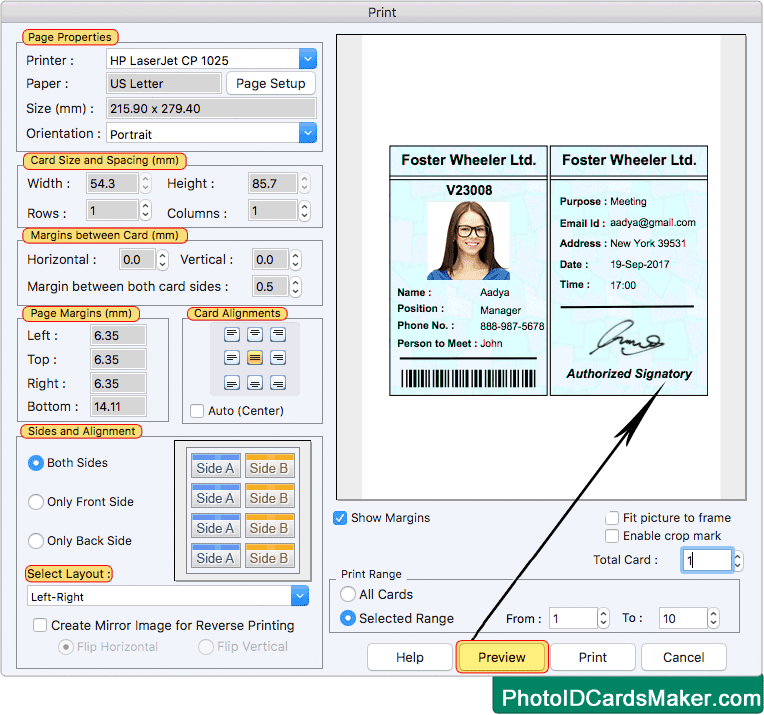 Choose any one pre-defined template to create Gate Pass ID card. 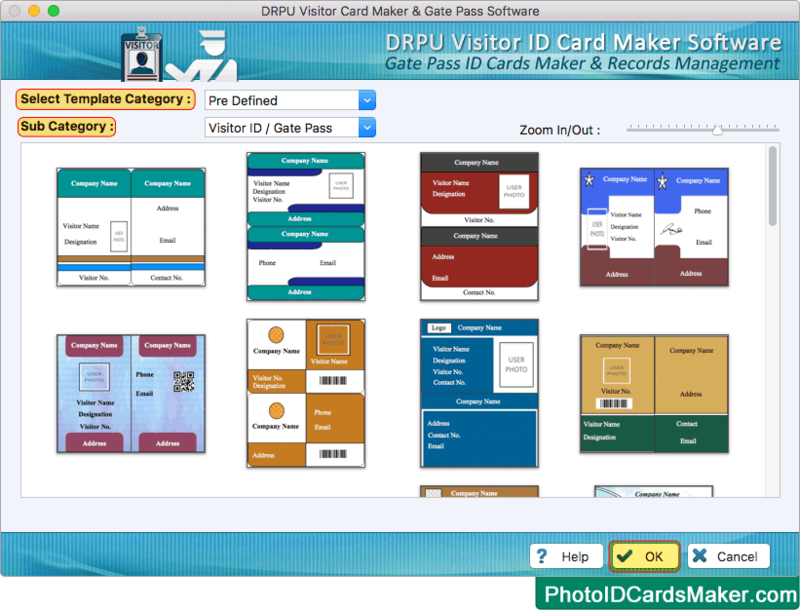 Now add visitor information on ID card. 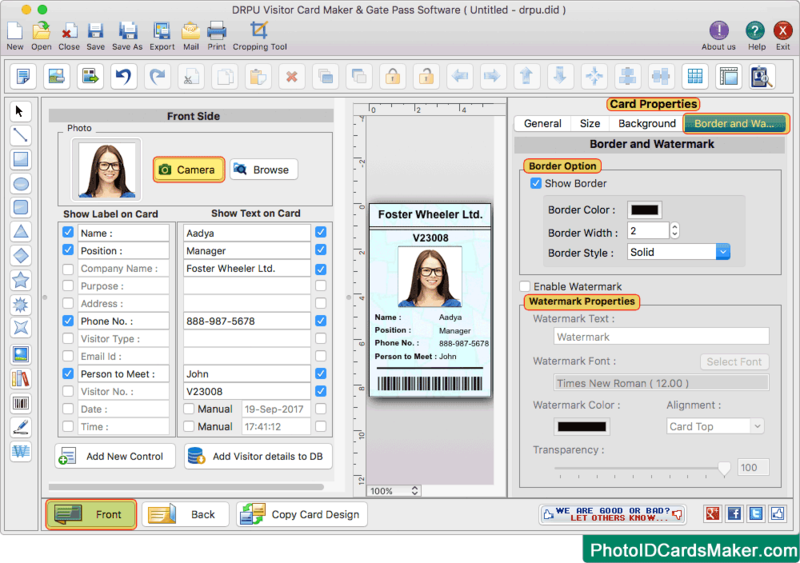 Software has camera settings feature to capture image of visitor and add on ID card. Program provides option to add barcode on ID card. 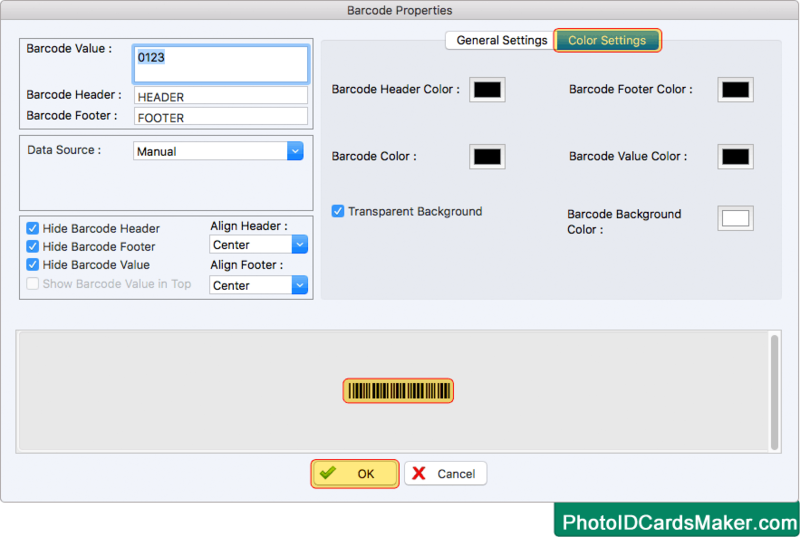 Adjust various barcode properties and click OK button.